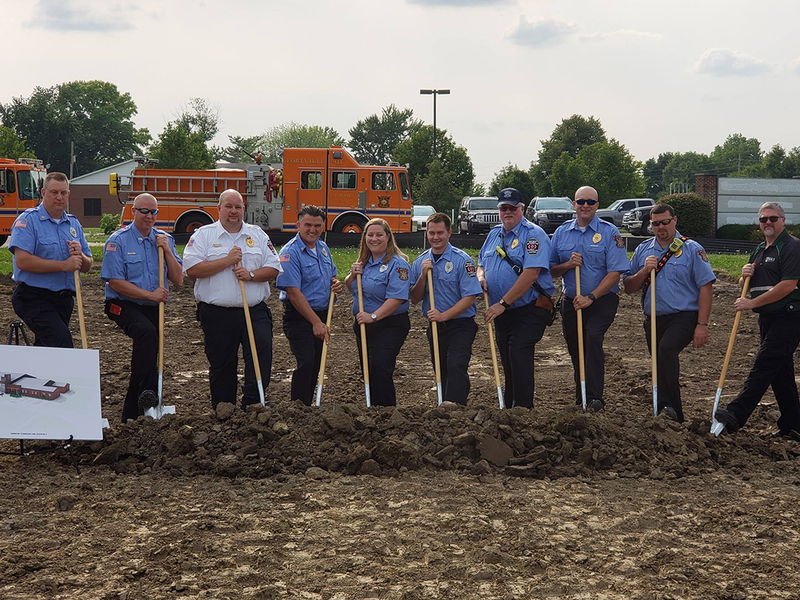 After years of operating out of the back of the Town of Fortville Municipal Building, Fortville firefighters will soon have a new place to call home. 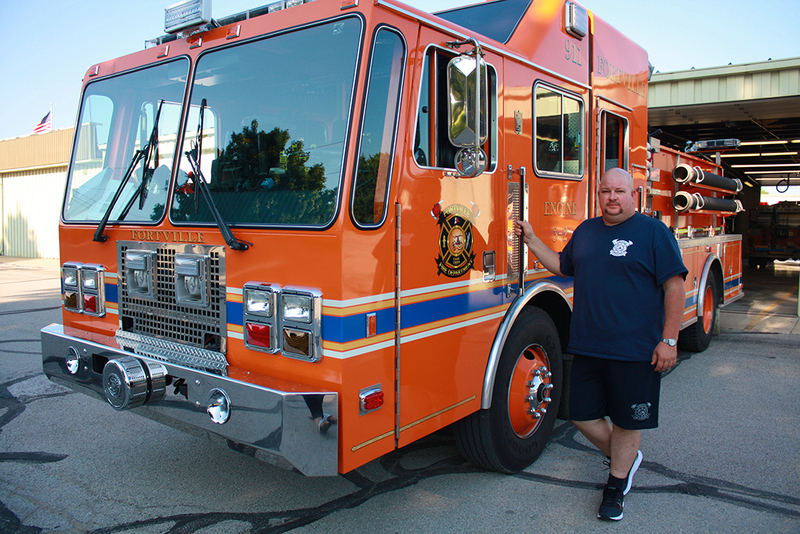 On Aug. 14, the Fortville Vernon Township Volunteer Fire Dept. broke ground on a brand new building on the southwest end of town. 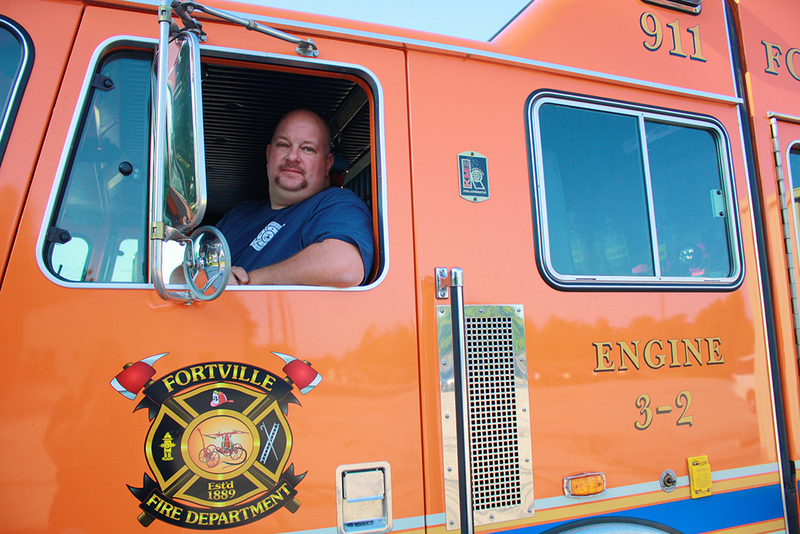 Fortville’s fire services were officially incorporated in the 1960s, but McCoy said the town has had a fire department since its incorporation in July 1889. McCoy, who has been a firefighter since 1999, said the Fortville department is the oldest in Hancock County. The station has 15 volunteer firefighters. After its purchase of the former Hancock Regional Health facility at 600 Vitality Dr., the township decided the open land to the east of it would be the home of the new station. Administration offices and training rooms will be housed in the Hancock Regional Health building, and the new station will have significant upgrades in terms of features and space. The $4 million station will be approximately 12,000 square feet with a larger and updated lounge room, living quarters, workout room, outdoor patio and more, but perhaps one of the most notable features will be a Safe Haven Baby Box – a temperature-controlled box on the side of a building that allows mothers to surrender unwanted newborn babies safely. For the moment, the department plans to keep all its existing equipment. No new equipment purchases are planned. Indy-based Axis Architecture & Interiors is handling design, and Lawrence-based construction management company Envoy, Inc. is building the station. McCoy said if winters continue as they have the past two to three years, the project’s builders and planners are projecting the station to be complete by the end of May or beginning of June 2019. ***MAX: Is it possible to use icons to illustrate these things? 1889 – Inception of the Fortville Fire Dept.